In the world of plumbing and HVAC systems, several things have already evolved. Now, there exists a toilet vacuum system which operates through the use of a suction in flush toilets that aid in feces and urine removal. This technology has reduced the water requirement for flushes to a minimum of only 0.5 liters. Despite saving on water on the flush system, there is still a guarantee that the end user will get the same level of comfort as with traditional flush toilets. 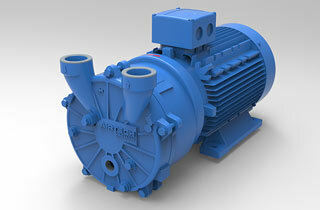 At Airtech, we have specialized vacuum technologies for toilet vacuum systems. Toilet vacuum systems are completely closed systems that can be installed in households and in larger establishments like hotels. They are very popular choices in airplanes, ships and trains. It is available in two different designs namely the vacuum on demand (VOD) system and the constant vacuum system. Vacuum on demand toilet systems are called as such because they only produce vacuum when the toilet needs to be flushed. Together with air, water is used in transporting sewage to disposal. Using an activator button, air is automatically evacuated from the drainpipes. Some versions of the VOD can be operated through solar power. The constant vacuum system, on the other hand, is a recommended solution for larger buildings. These ones can be expanded and upgraded later on depending on the needs of the building and the estimated number of people relying in the use of these systems. Using a permanent vacuum, the risk of leakage is very low. Energy requirement is expected to be higher with this type of system though. Why Choose Airtech Vacuum Incorporated For Toilet Vacuum System? Airtech Vacuum Incorporated was founded in 1982 and since then many customers come to us for their vacuum and blower technologies. We are one of the pioneers in terms of custom designing and engineering these technologies which include oil-free vacuum pumps, oil-flooded vacuum pumps, rotary claw compressors, and rotary claw vacuum pumps among others. With our dedicated team, you can be sure to get regenerative blowers and vacuum pumps for toilet vacuum systems. These are guaranteed easy to operate and install plus are packed with features to suit your needs. Through years of hard work, we have gained certification from ISO9001-2008 and our products have been certified by CSA, CE, UL, and RoHS. 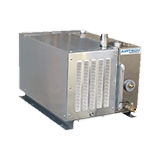 Airtech engineers are always ready to analyze your unique situation before recommending the best pressure-based and vacuum technologies for your specific industry application. 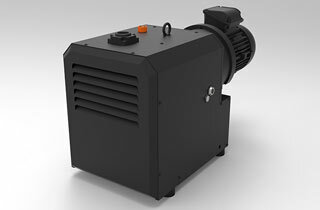 We have everything from nickel-plated blowers to blowers with magnetic drives. We make sure too that all orders are handled with care so that they will arrive at your doorsteps with the same quality you expect out of them. Shop with convenience from Airtech! Start by browsing through our inventory today and source for top-notch toilet vacuum system vacuum and pressure products with exceptional ease!